For the past 3 years Waterman has proudly served as a service-learning partner to the students participating in the Biology 1113 honors course at the OSU. These students, most of which have no prior agricultural experience, are invited to our facilities for exposure to agriculture, and agricultural best management practices. Primarily, the students volunteer to assist the Waterman Team with sowing thousands of seeds in Howlett Greenhouse that will eventually be transplanted into the different community and nutrition education plots on Waterman, all the while accummulating service-learning hours for their projects before the end of the semester. 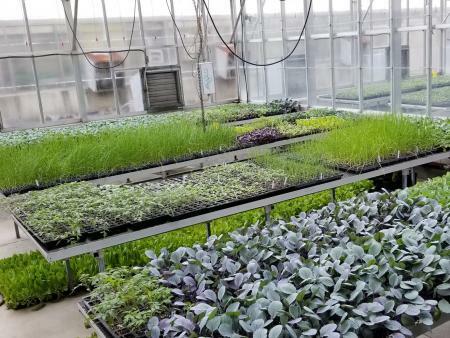 We are very appreciative of their inquisitiveness, willingness to learn, and help with growing a large quantity of quality seedlings for the vulnerable families of Columbus!